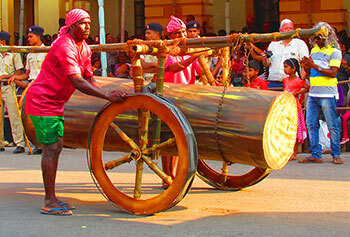 Local festivals of a country have always been a big crowd-puller for tourists from all across the world. Participating in religious festivals and cultural events is the best way to experience the vibrant cultural heritage of a country, state or city. The Indian subcontinent, which includes Nepal, Bhutan, Tibet, Sri Lanka and Bangladesh along with India, is regarded as a hub of festive occasions and cultural events. India alone is so rich in terms of festivals that people say – 'There are more Indian festivals than there are days in a year'. The most lovable part is that you'll be welcomed like a family member regardless of which Indian festival you participate in. Diwali (the Festival of Light) and Holi (the Festival of Colours) are the two most popular ones among numerous Hindu festivals in the country. Durga Pooja of West Bengal, Onam Festival of Kerala and Ganesh Chaturthi of Maharashtra are also immensely popular worldwide. During these festive celebrations, you'll witness different types of religious offerings and rituals that Hindus follow. This won't just be a learning experience, but also an opportunity to revive your inner self. 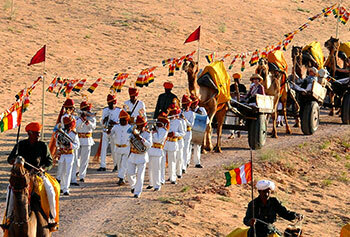 Events like the Pushkar Camel Fair and the Kumbh Mela also reflect the India's rich Hindu culture. 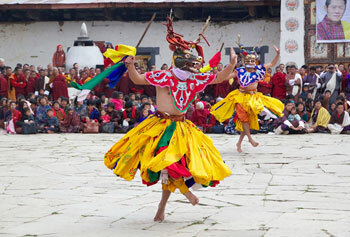 Nepal is also a country of vibrant festivals. Dashain, Tihar, Losar and Buddha Jayanti are celebrated in the country with great pomp and fervour. If you're visiting Bhutan, Tshechu, Thimpu Tshechu, Paro Tshechu and Punaka Tshechu should not be missed. Sri Lanka, again, presents to you a beautiful assortment of Buddhist, Christian and Hindu festivals. During many of these festivals, you'll be delighted to witness large processions of elegantly decorated elephants and drummers. 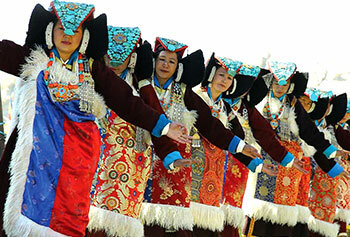 The Tibetan culture has its own unique place in the world's cultural history. If you're curious to feel the heartbeat of the country, you should certainly become a part of its traditional festivals and events like the Butter Lantern Festival, Sagar Dawa Festival, Shoton Festival, Ongkor Festival etc. Horse racing and archery are also very popular here. Since there are innumerable festive events in India and other parts of the Indian subcontinent, it could easily become overwhelming to choose where to go. It's also not easy to remember the dates of each festival. 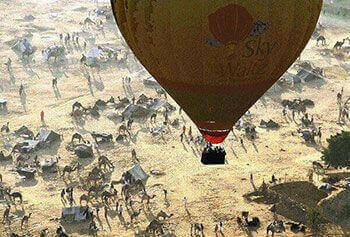 The travel team at Max Holidays is quite adept at helping you plan a festival tour of your choice. If you're unable to find what you're looking for in the list of available tours, you should get in touch with us now for a tailor-made package. "I heard from many people that India is a land of festivals but never knew that it really is till I personally experienced it at the Rajasthan Desert Festival Tour. The people there celebrated the festivals in such a lively manner that I can’t even explain. I am really speechless. Thank You Max for making it the best. " "Each and every thing whether small or big, starting from my pick up from the airport till my departure I enjoyed every bit of this journey. I now too remember the way my birthday was celebrated by Max Holidays when I cut the cake in the bus. It has been a memory and the most special one for me." "I am really lucky to have got a chance for visiting such an exquisite country with a perfect combination of traditions, culture, destinations, food and even the people. I got a chance to communicate with many people on my way. Some of them taught me some words in their language and the one I remember is ‘Khamma Gadi”. "